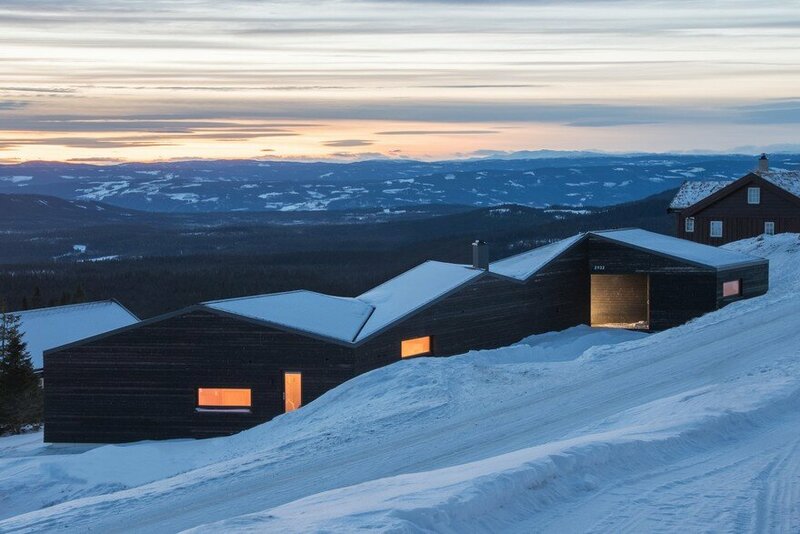 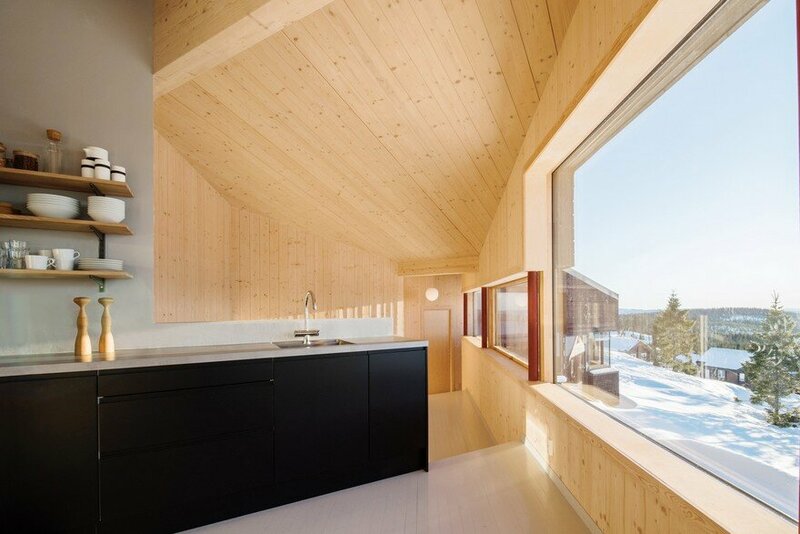 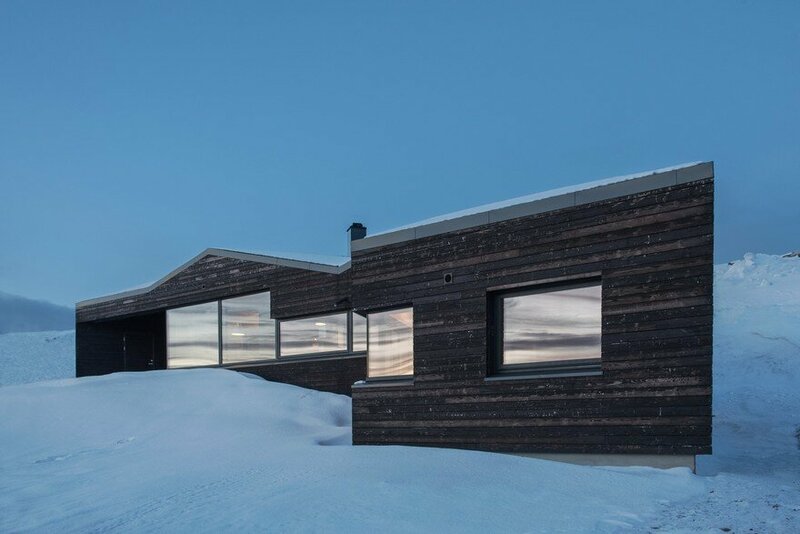 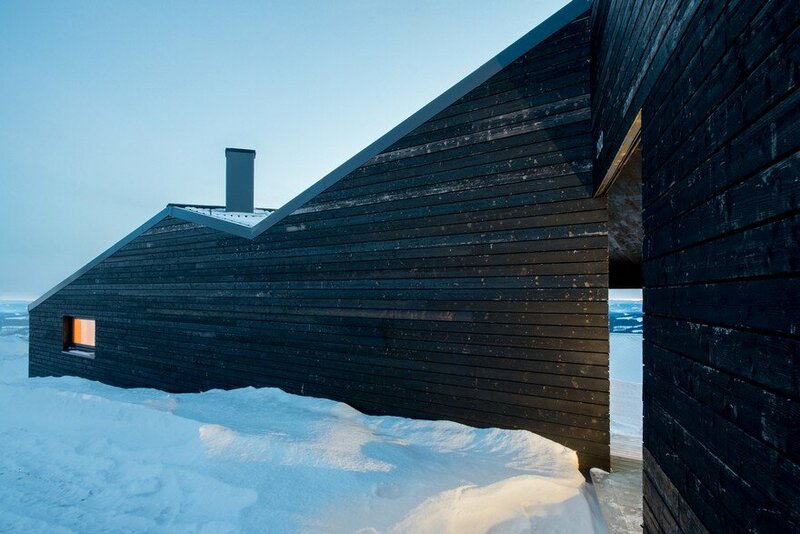 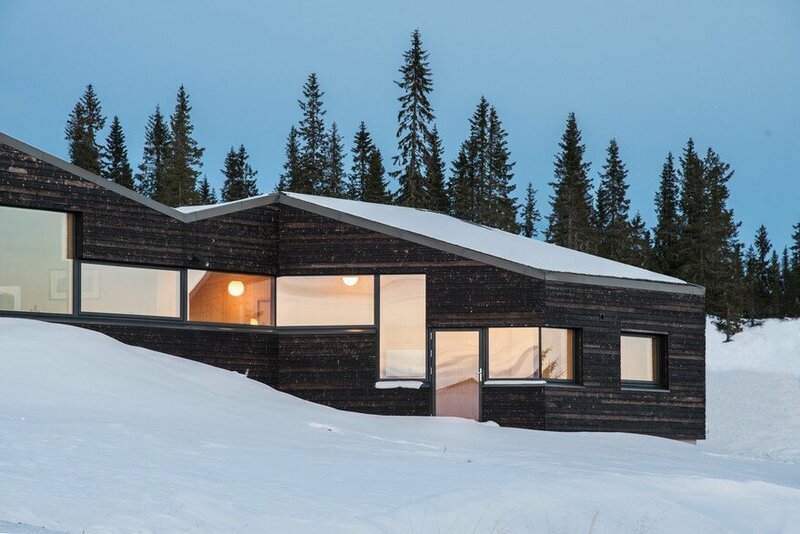 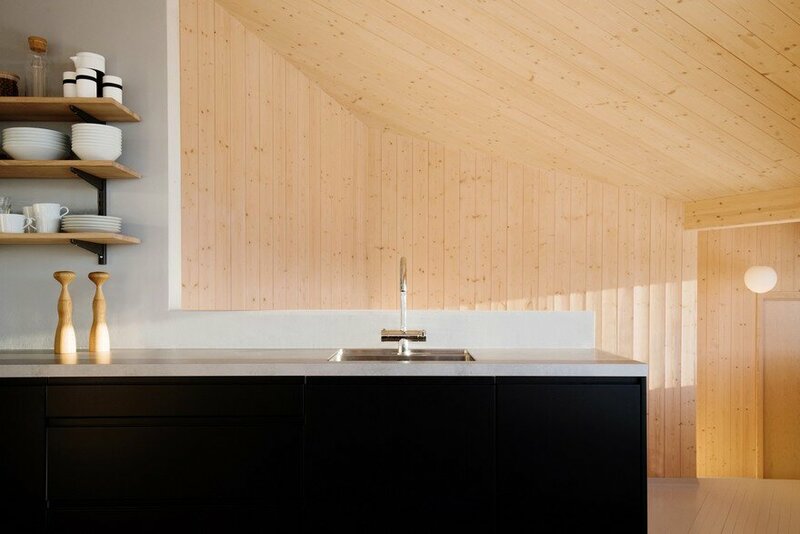 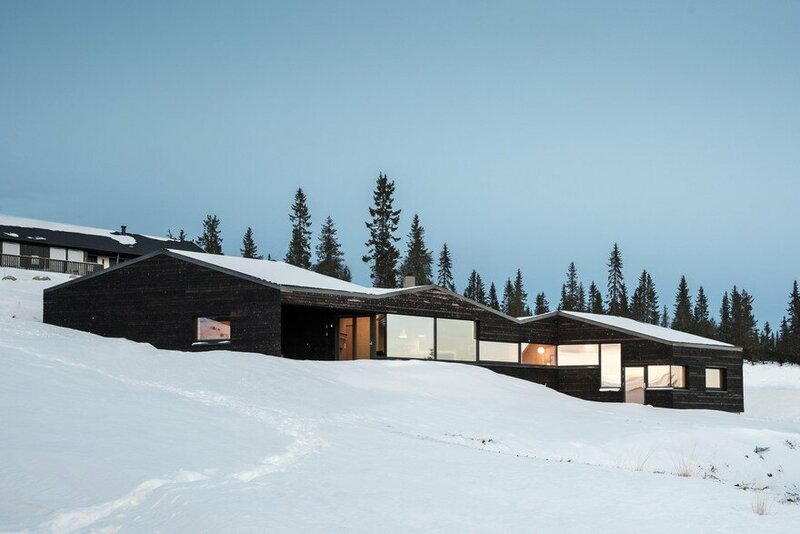 Description by architects: This dark timber cabin is located in Sjusjøen, one of Norway’s most popular areas for cross-country skiing. 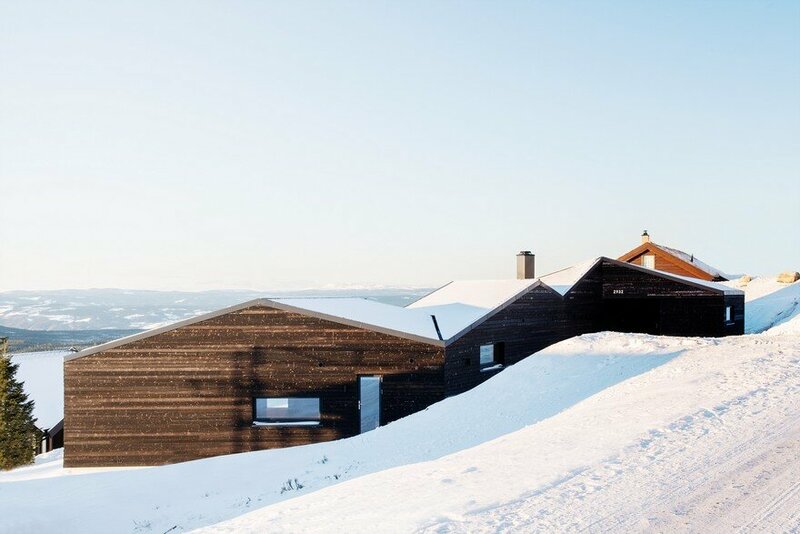 The plot is sloping towards the west overlooking the Gudbrandsdalen valley. 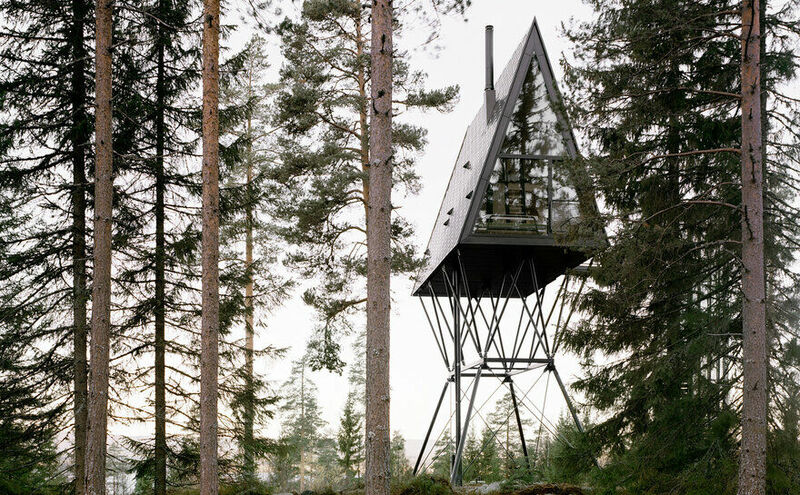 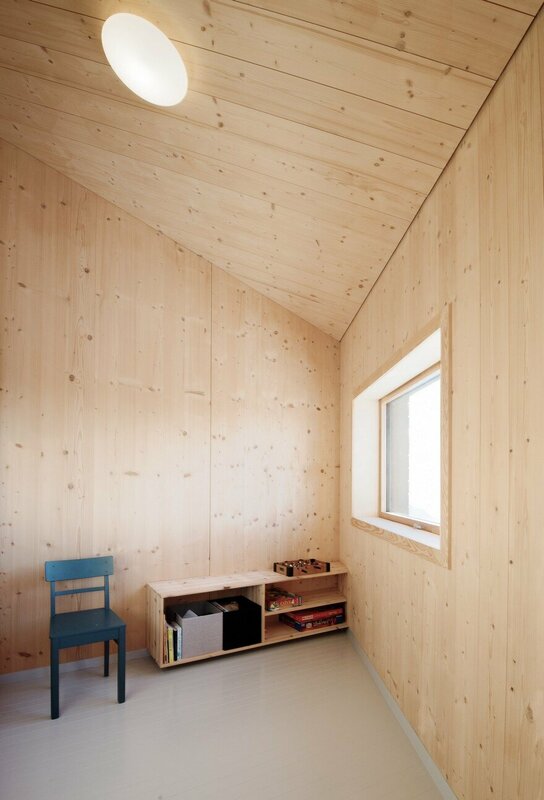 In the area, it’s a rapid and concentrated development of cabins and you have strong winds coming from the north. 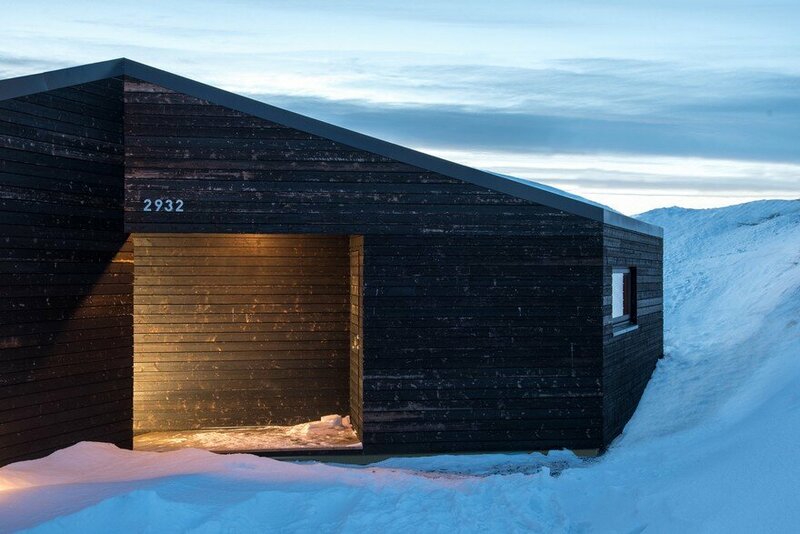 This makes it important to try to provide shelter from the wind and to establish private spaces close to the building. 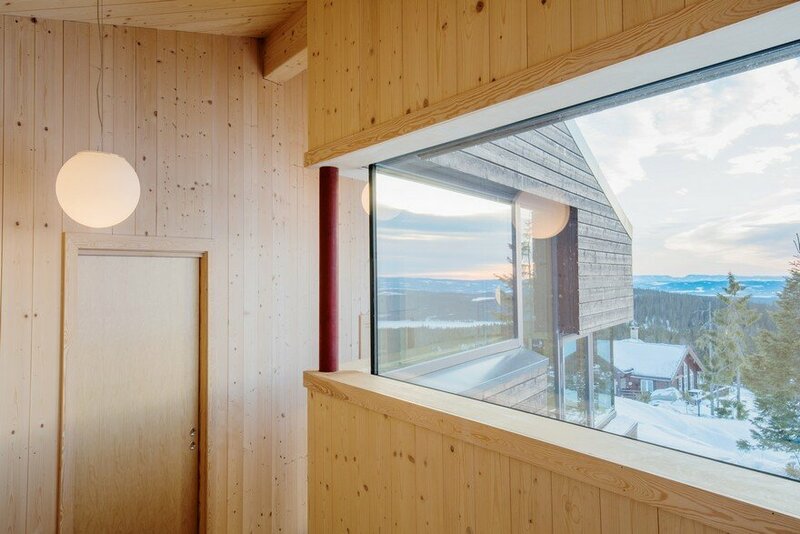 The building is organized as a volume put in the east – west axis of the plot, with a closed north facade and a open facade towards the south, giving great views of the valley below. 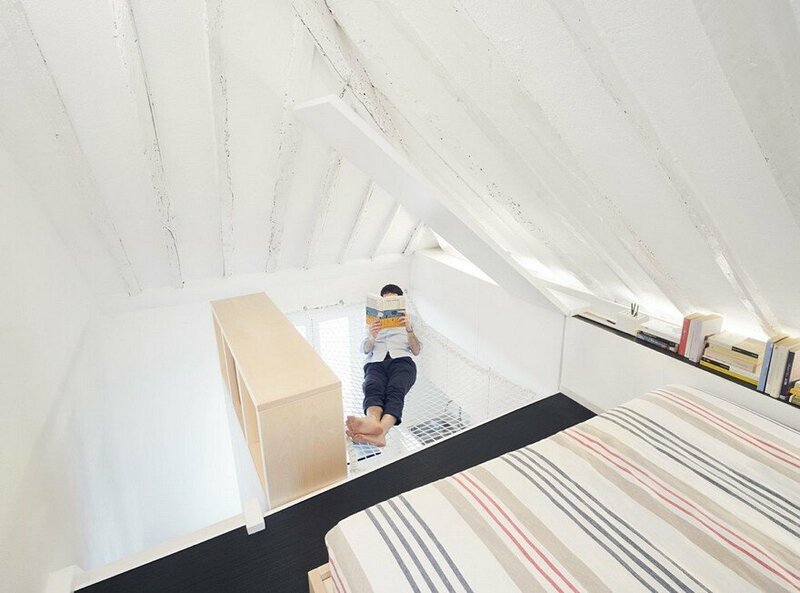 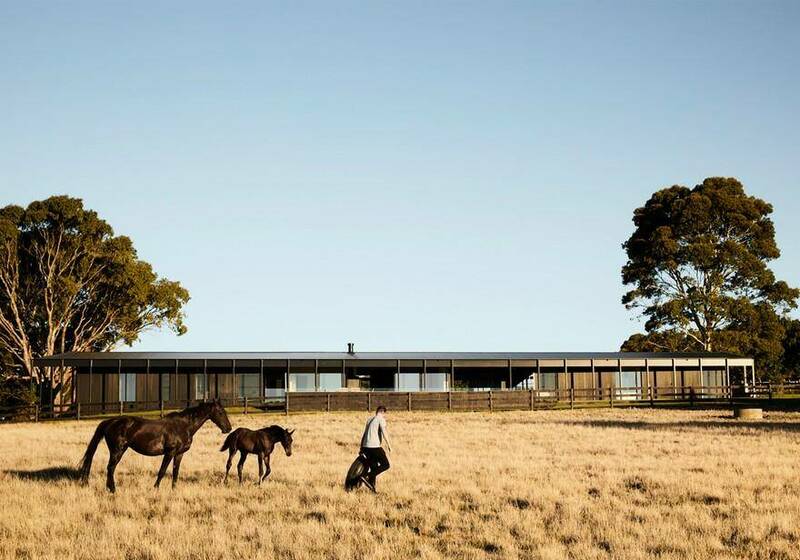 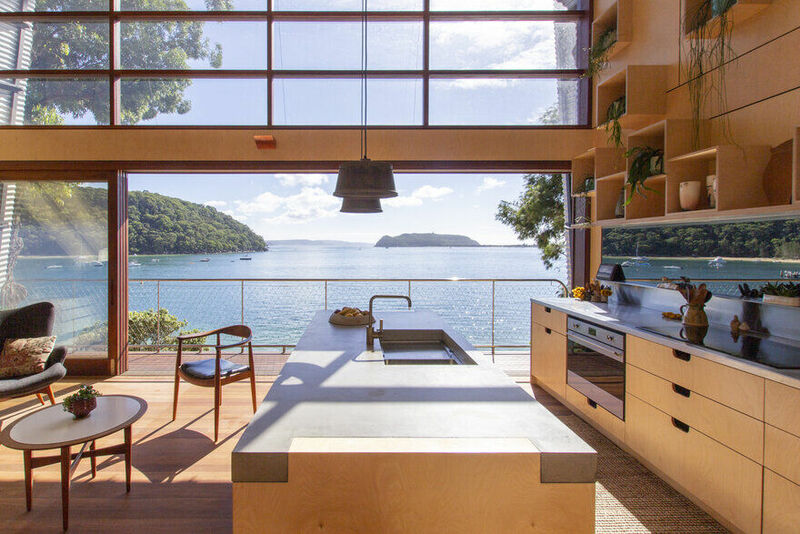 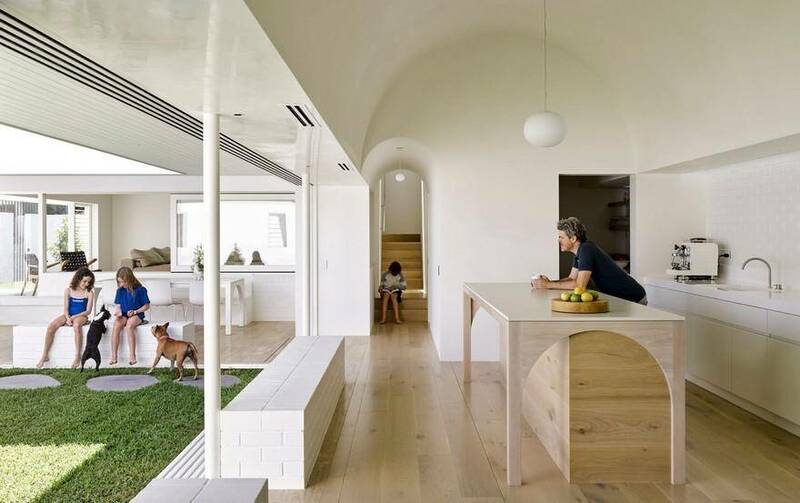 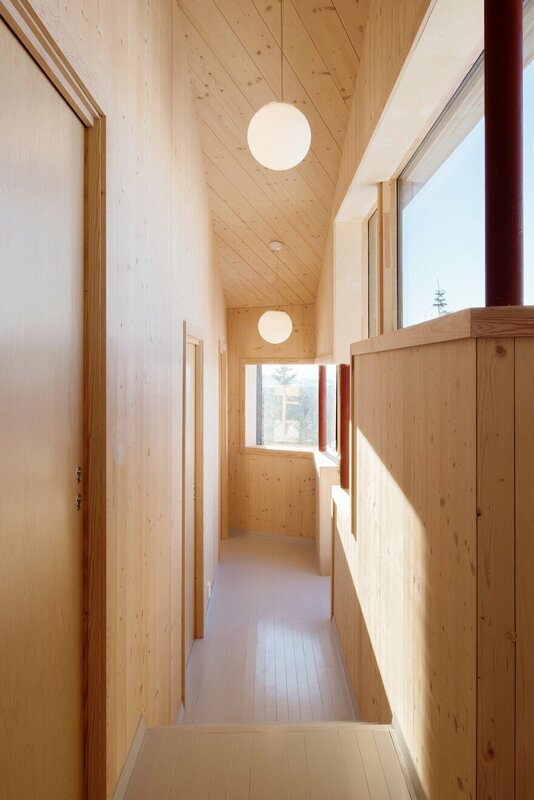 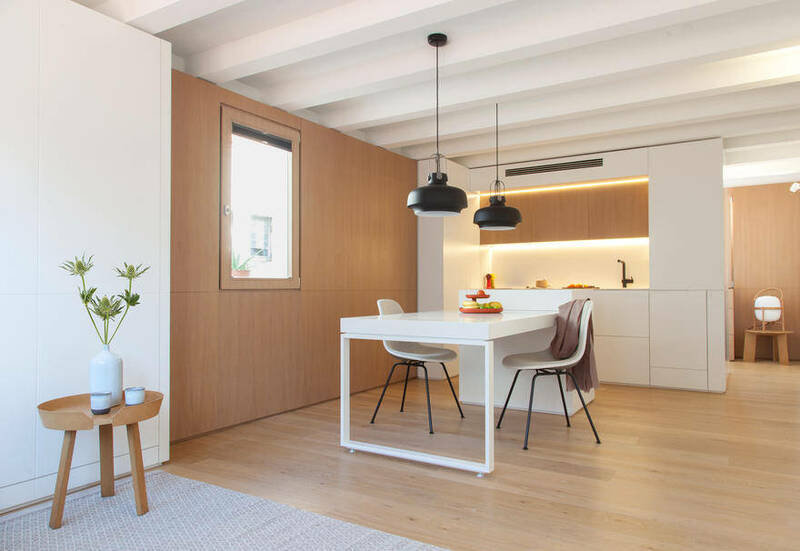 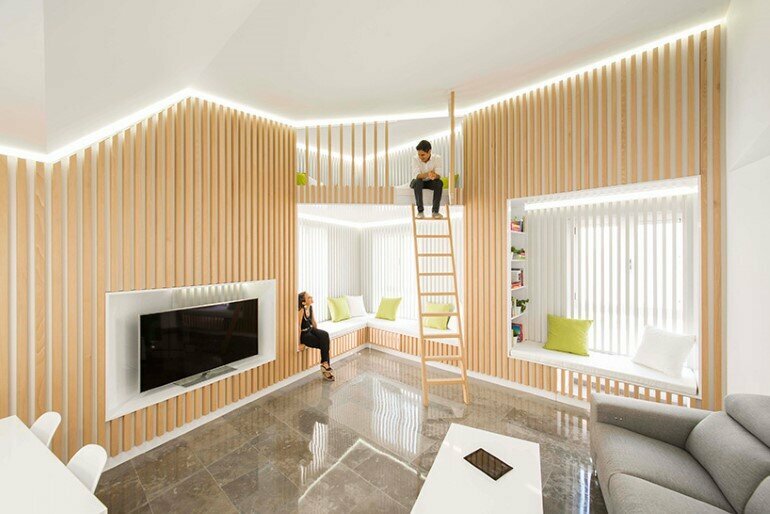 The volume is given L-shaped ends to provide sheltered entrance from prevailing winds to the north, and to establish private space to the south. 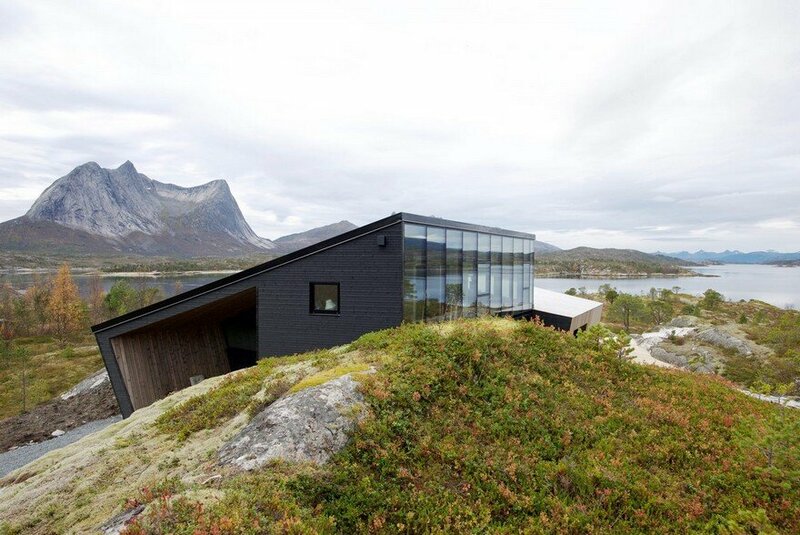 With the floor and roof following the terrain through five different levels, the building is connected closely to the natural slope of the terrain.